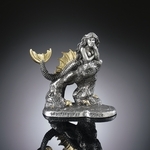 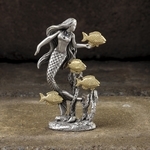 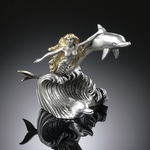 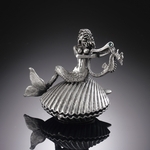 All of our pewter mermaid collectibles are handcrafted by the finest artists in the field. 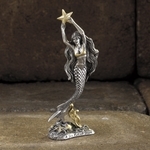 Most of them are delicately accented in gold and/or genuine crystals. 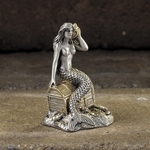 All of our pewter Mermaids are made in the United States.